On June 20th, Saturday Morning at 10:00 a.m., I along with Profs. Brian Moore (University of Nebraska-Lincoln), Stefani Langol (Berklee College of Music), and Dr. James Frankel (SoundTree/Korg) will be holding an open plenary that discusses the role of Technology in Music Education. 1. The role of music technology in the music curricula. 2. What should teachers think about when considering the implementation of music technology into their programs. 3. How does Web 2.0 apply to music. 4. What about professional development and opportunities to learn new technologies for existing teachers. 5. Fostering and creating creativity through the digital means of compostion and other music-related computer aided programs. 6. What does the future hold for technology in music education. I look forward to meeting up with a number of you down there and have already made plans to meet up with some folks that I know only through written or digital correspondence or from my site. The best time to meet up with me will be directly after our session. Drop me an e-mail via the contact form on this site (see tab above) if any of you are making the trip to the conference. 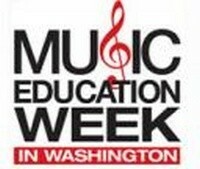 Tags : MENC, Music Education, NAME, rand, washington d.c.